Florida Gov. 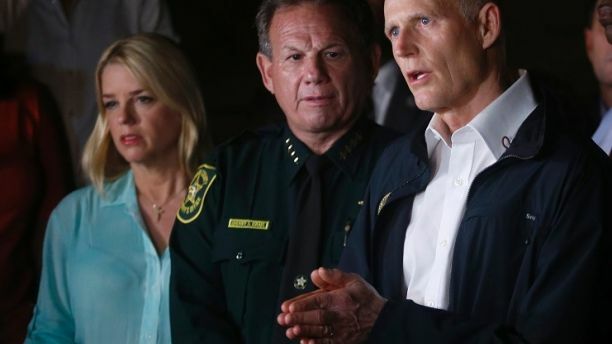 Rick Scott is facing a growing number of calls to remove the Broward County sheriff from his position over the department’s response to the high school shooting that left 17 people dead. State Rep. Bill Hager, R-Boca Raton, sent a letter to Scott Saturday urging him to relieve Sheriff Scott Israel from his duties for “neglect of duty and incompetence,” the Palm Beach Post reported. In addition, a survivor of the shooting told Fox News on Sunday that the sheriff had to go. A state representative called on Gov. Rick Scott (right) to remove Sheriff Scott Israel (middle) from his position. Hager cited reports from the media that several Broward sheriff’s deputies waited outside rather than rush in as the alleged gunman, Nikolas Cruz, gunned down students. The Valentine’s Day shooting unfolded at Marjory Stoneman Douglas High School in Parkland. The allegations emerged a day after veteran Broward Deputy Scot Peterson resigned after it emerged that he failed to enter the school and confront the gunman. Peterson had been assigned to guard the school. “The Sheriff was fully aware of the threat this individual presented to his community and chose to ignore it,” Hager wrote. Israel disputed Hager’s claim that three deputies were on the school’s campus during the shooting. The sheriff claimed there was “only one law enforcement officer [Peterson]” on the campus during the attack. He also disputed the calls made to the office regarding Cruz and his family. “BSO [Broward Sheriff’s Office] had a total of 23 calls for service involving Nikolas Cruz or his family; and 18 of those involved Nikolas directly [the others involved his brother]. Of the 18, nearly all but two involved routine calls from the mother relating to parenting issues,” Israel wrote. 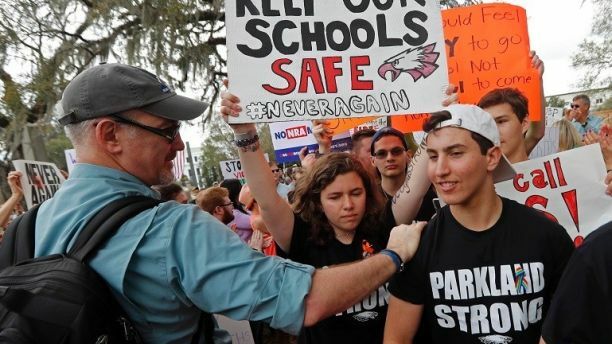 Students have called for safety measures following the school shooting. Two additional Broward deputies are also under investigation over whether they mishandled warnings about Cruz in the months leading up to the shooting. The FBI has admitted it failed to investigate similar claims, and the Florida child welfare agency looked into concerns about Cruz, but concluded he wasn’t a risk to himself or others. Cruz was arrested and charged with 17 counts of premeditated murder. Fox News’ Robert Gearty contributed to this report.